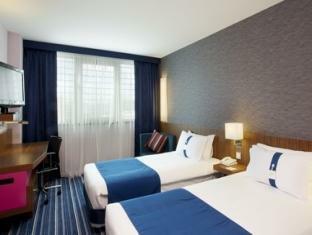 ﻿ Holiday Inn Express Lisbon Airport Loures. JIMAT di Agoda.com! Terletak pada kedudukan yang baik di Prior Velho, Holiday Inn Express Lisbon Airport adalah tempat yang sesuai untuk memulakan lawatan anda di Loures. Dari sini, tetamu boleh menikmati semua kemudahan yang bandar ini tawarkan. Dengan lokasi yang mudah, penginapan ini memberikan akses mudah ke tempat yang anda perlu lawati di bandar. 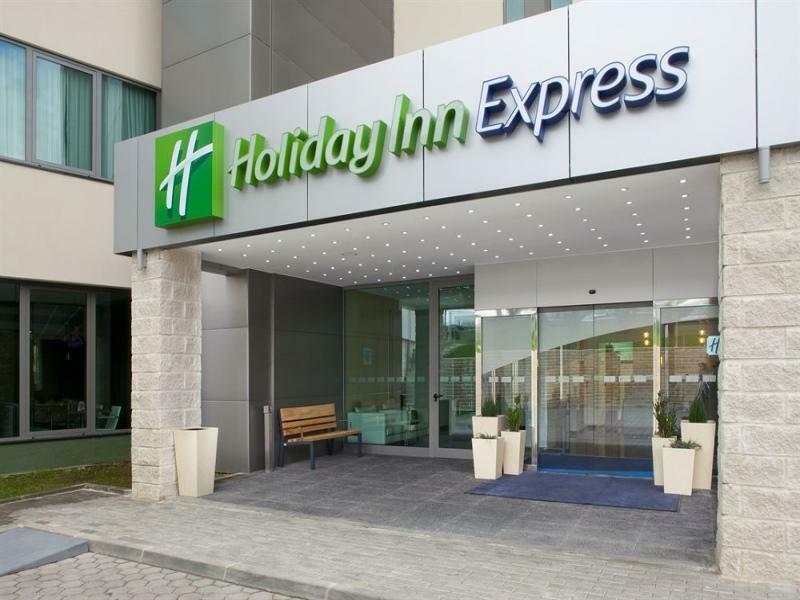 Holiday Inn Express Lisbon Airport juga menawarkan banyak kemudahan untuk memperkayakan penginapan anda di Loures. Hotel ini menawarkan pelbagai kemudahan di lokasi untuk memuaskan hati tetamu termasuk yang arif. Suasana Holiday Inn Express Lisbon Airport terpancar di dalam setiap bilik tetamu. televisyen skrin rata, bilik larangan merokok, penyaman udara, pemanas, panggilan kejut hanyalah sebahagian daripada kemudahan yang boleh didapati di hotel tersebut. Di samping itu, pihak hotel menawarkan aktiviti rekreasi untuk memastikan anda mempunyai perkara untuk dilakukan sepanjang penginapan anda. Kemudahan yang hebat dan lokasi yang sangat baik membuatkan Holiday Inn Express Lisbon Airport menjadi asas yang sempurna untuk menikmati penginapan anda di Loures. Hotel ini terletak 5 minit memandu dari Lapangan Terbang Antarabangsa Lisbon dan menawarkan khidmat shuttle lapangan terbang. clean and efficient place with great helpful Staff. Having airport vannis very helpful. All we need was sleep since we didnt get bed for 48 hours. We had a good sleep. comfort bed. inconvenient to go back and forth to airport because each trip cost €5/pax. We were waiting for missing luggage to arrive. This hotel was very suitable for what we needed which was to be close to the airport for an early flight. I do not recommend the restaurant in the hotel. The food was terrible. So eat before you come. There didn't seem to be many options and we were tired so we stayed in. Short stay while waiting for a plane connection. Breakfast was okay but nothing special. Able to get a late night check in. Convenient hotel to Lisbon airport with a shuttle bus to airport area (4 euros) this hotel is clean with attentive staff. Room is quite large with a clean bathroom. Breakfirst included, price is very confortable for a couple. No so many restaurant outside, area is for business and warehouses. Ideal for late arrival or early departure. We arrived after midnight and the reception staff were welcoming and helpful. The breakfast is good and plentiful. The airport shuttle is convenient. The hotel is fairly new and rooms very comfortable. It is very easy and quick to get from the airport to Lisbon centre by the Metro. Location and car parking. Room comfort and in room entertainment. Ideal for late / early airport flights and good parking. Clean, comfortable and excellent helpful English speaking reception staff . Self serve Buffet breakfast good BUT no restaurants in the locality , the hotel offers a simple table d'hote menu in the bar / lounge. Average at best, shouldn't be called at airport hitel. Better off to stay in the city and get a taxi to airport as it is just as easy. Shuttle they have is dearer than a taxi and there is no food around the hotel. Close to the airport and comfortable beds and a good breakfast. 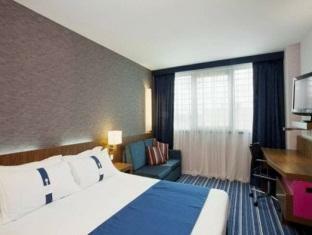 my stay at holiday inn express lisbon was as i expected, clean and comfortable. my only problem was that you had to pay for wifi (something you so rarely have to do these days), the shuttle service was more expensive for 2 people then a cab back to the airport, and there was no food available apart from at breakfast (other than vending machines). i would recommend it to someone who just wants to get a good night sleep, relax infront of the tv before they fly out of portugal. The hotel was very nice with friendly staff, and easy to find. It's very close to the airport as well. Convenient for business travellers. Good hotel if you have early morning flight. 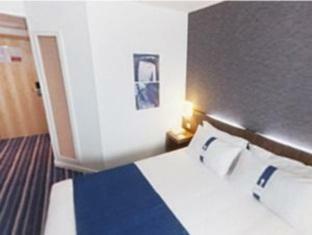 Good size and comfortable rooms and very friendly staff. The hotel has a free parking place and it is only 2 minutes drive from the Lisbon airport. In case you need to leave the hotel before breakfast time, staff will prepare for you a breakfast package.